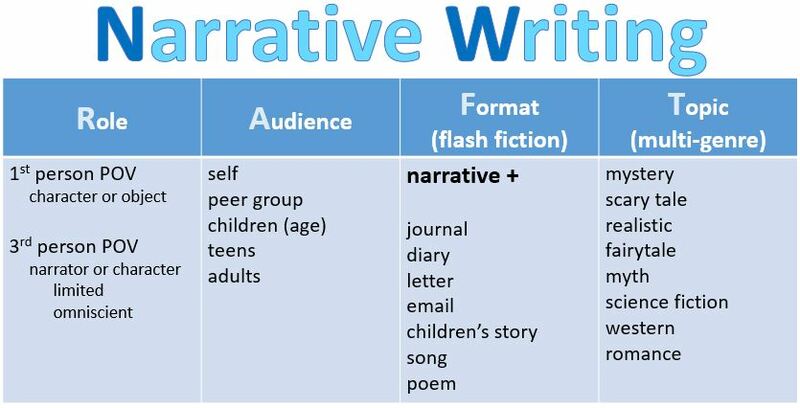 As a narrative writer, you will write a flash fiction piece in a multi-genre format of your choice. Decide whether you want to track your work on NaNoWriMo YWP. 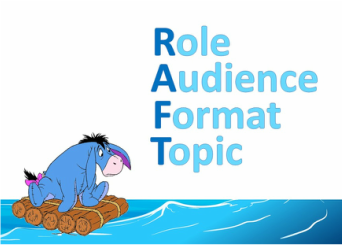 Determine your RAFT - Select elements from at least two different genres to incorporate into your story: mystery, scary, realistic, fantasy, fairytale, myth, sci-fi. 4. Determine your protagonist, antagonist, and conflict. ​ 6. Plan the story using a Plot Diagram. Create your story in the length of the assigned flash fiction (750 - 1000 words). Be sure to incorporate techniques modeled after the "Masters" that we have studied in class. (Optional) Design a three-box storyboard using the Storyboard That online tool. Save the storyboard to your network folder using the Snip it tool. Copy and paste the image at the end of your narrative document. Copy and paste your story into Polish My Writing to see what revisions should be made. Visit the Mechanics Mayhem site, and make corrections based on the common errors in writing. Copy your story into the Readability Calculator to determine the readability level - Be sure to select "Test by direct input". Reflect on the audience and your process. “She screamed. It was like nothing she’d ever heard, that scream. She had never screamed that loud in her life. She stopped, she froze, she clung to the wooden banister. Her heart exploded in her. The sound of the terrified beating filled the universe” (12). “’We’re crazy being out on a night like this,’ said Helen” (5).